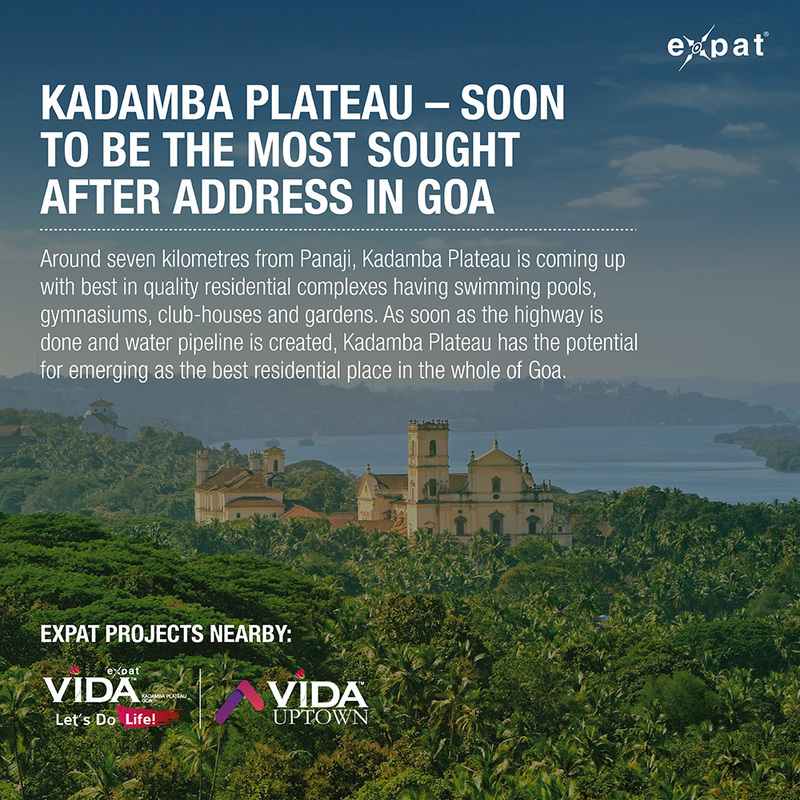 The Expat Compass: Kadamba Plateau as a fast emerging destination for residential real-estate in Goa. 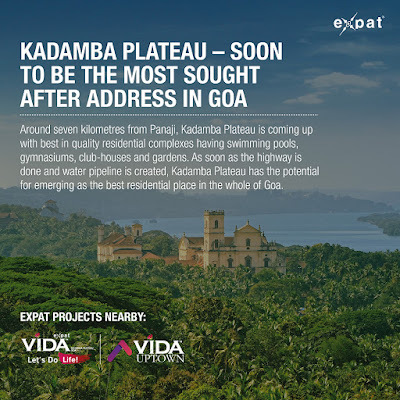 Kadamba Plateau as a fast emerging destination for residential real-estate in Goa. Kadamba Plateau is fast emerging as the hottest destination for residential real-estate in Goa. While, most parts of Goa have seen haphazard development, builders are focusing primarily only on upmarket residential complexes with best of amenities like a swimming pool, gymnasium, gardens, club-houses and adequate parking facilities. Priority Construction's owner Parind Nachinolkar said, “What was luxury at one point of time has become a necessity today, given the quality of complexes at Kadamba Plateau”. Nachinolkar’s comment seems accurate, considering how suburbs like Porvorim have developed in the recent years. The Panaji-suburb has managed to catch the imagination of real-estate buyers and builders only in the last ten years. However, although recently developed, a number of constructions in Porvorim still lack adequate parking facilities. The placement of infrastructure (neighboring societies and buildings) in Porvorim may be clearly sighted as testimony to the fact that not much planning by the state or companies has been implemented while designing the now active suburb. Fortunately, that isn’t the case with Kadamba Plateau, as developers are only focusing on large residential complexes with state-of-the-art amenities. Moreover, the floor-area-ratio (FAR) at Kadamba Plateau is just 0.8 compared to 2 at Caranzalem, another suburb of the capital. FAR may be defined as the ratio of building’s total floor area to the area of the land on which it is constructed. Lower ratio implies that at Kadamba Plateau, the constructed area will cover a lot less of the total plot area than in other parts of Goa. This means that builders will be able to provide a much larger green cover in the form of gardens and play-area for kids to residents. Some issues, however, that still haunt investors from foraying into the greenfield plateau include state-owned pending projects such as the completion of a highway to Panaji and the PWD's water-pipeline at the plateau. But, from the looks of it, it seems that the work on the four-laning of NH4-A is going to get over very soon. As far as water availability is concerned, builders provide water to residents through either bore-wells or water-tankers. Besides, this is a larger issue in India, wherein it is a norm that real estate develops first and government creates infrastructure later. Nachinolkar added, “Kadamba Plateau is today where Porvorim was ten years ago. At that time, lot of people used to take ferry to reach Panaji from Porvorim and wondered if Porvorim would actually get developed. But, it did develop”. Two points emerge from Ravi’s comments and both are inter-twined. One, despite lack of infrastructure and slowdown in market, builders have been able to sell real-estate at Kadamba Plateau. Two, real-estate in Kadamba Plateau is relatively cheaper and that’s one reason why consumers and builders are both getting attracted to it. Priority Construction is going to start construction of its project at Kadamba Plateau this year after rains. Nachinolkar said, “This is the time to go to Kadamba Plateau. So many things are coming up there. A huge 5-star hotel is lined up, a hospital is going to come very soon, proposed IT park at Chimbel is going to be nearby, the state government has announced an education hub in Bambolim, which is also very close”. Another respected brand in the field of real-estate, Adwalpalkar Constructions, too is planning a residential project at Kadamba Plateau. Sahil Adwalpalkar from Adwalpalkar Constructions said, “We started our project called Springfields at Kadamba Plateau a year and a half ago. It will take another year for us to finish the project, and we have already sold 60-70% of the project”. It is clear that customers are going for two things. One, reputation of builders. Two, relative affordability of real-estate at Kadamba Plateau. It is also a myth that only outsiders are buying real-estate at Kadamba Plateau. Ravi from NaikNavare Developers said, “We have sold around 56% of flats to locals and the remaining to people from outside. So, it is a mix of people from Goa and outside”. And, it is obvious too, as the state government is working on creating so much infrastructure, which is not just for people from outside of Goa, who are buying real-estate at Kadamba Plateau only from investment objective and not to live there. So much infrastructure is definitely being created for people who are going to stay there. It is also reported that the new private hospital at Kadamba Plateau is an initiative of a team of 33 doctors from North Goa. This 230-bed hospital called ‘Healthway’ is going to be one of the largest multi-speciality hospitals in Goa and it can take care of medical needs of people of entire North Goa easily. All this clearly hints in the direction that the state government and private players are looking at Kadamba Plateau as a full-fledged satellite city to Panaji, the way Gurgaon and Noida are to Delhi. Besides, builders at Kadamba Plateau offer all sorts of options to customers from studio apartments to one-bedroom-hall-kitchen (BHK), two BHK, 3 BHK and villas. In short, there is real-estate for all; for those concerned about affordability and also for those going for luxury.